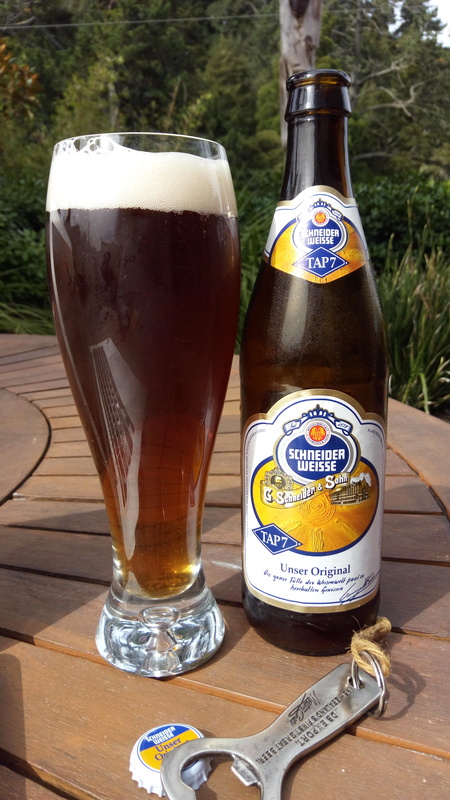 Schneider Weisse Original (TAP7). It’s a Friday and this is the 3rd of the 3 that I had to drink, the others have been entertaining enough, and this hopefully is another step up. This is a 500ml 5.4% ABV beer and it has 14 IBU things, this is about 162 calories a serve size, and is 2.1 standard drink units. fermented smell, an aroma of clove and nutmeg apple tantalises the nose. On the tongue it is fresh, clean, full-bodied, harmonious and well-balanced. It finishes with a light, delicate taste of bitters leaving behind a sour impression. A lovely pour of a chestnut brown beer that has a lovely but small white head and wonderful fruity aroma to it. Taste is as they describe, it’s got a nice body of seethes and a hint of the sourness about it at the end but it is very refreshing and quite tasty. But it’s not a beer with a lot of body about it, and you’d err towards it being thin and a bit listless really. This is top fermented beer, and then in my mind reminds me of the Belgium style beer I enjoy so much that binary ester thing going on, but this isn’t that, it’s a wheat beer, so it might be that. The pdubyah-o-meter rates this as 7 of its things from the thing. I’m trying to like it more than I think I can. it’s a pleasant enough beer but it is also not a beer that crackles and sparkles. I’d have this in the fridge if it was more accessible and priced right is the nicest thing I can say, nothing wrong with the beer, it’s just a bit everyman. Am I enjoying it? Not as much as I’m lying to myself about enjoying it. Would I have another? I would though, it’s easy on the palate and high on the enjoyment. Would I share with a friend on a porch and set the world to rights? 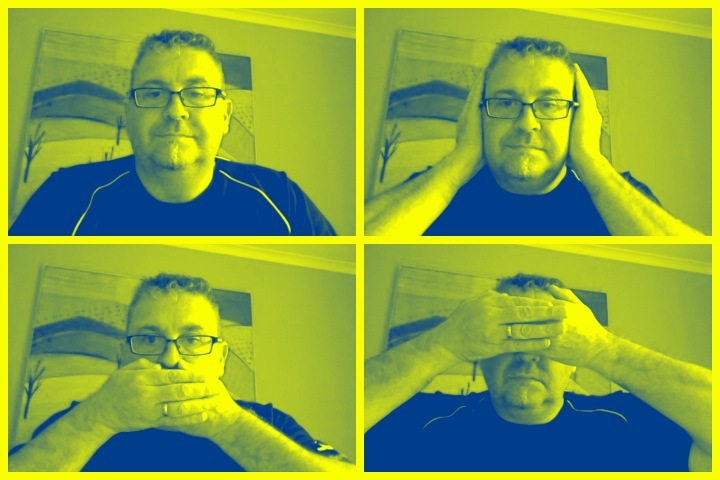 Not as a stand alone, but as a comparative of the three, the 5, 6 and 7 I might. Cassettes on Tape Cassettes on Tape is heavily influenced by college radio and the 80s and 90s U.K. indie scene–from The Smiths to My Bloody Valentine. 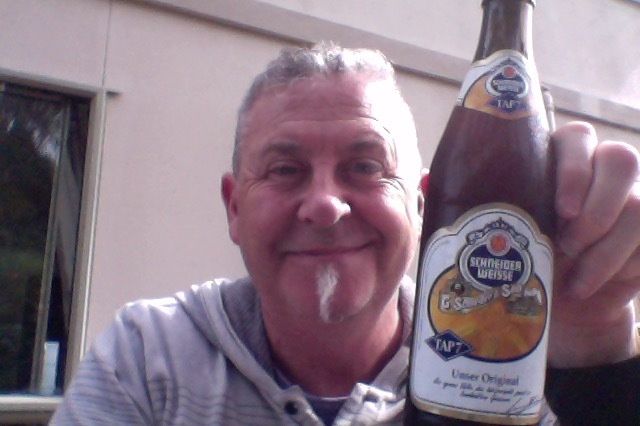 This entry was posted on January 6, 2017 by Philip Walter in Beer, Beer of Germany, Beer Review, Craft Beer, Critic, German Hefeweizen, Justsaying, schneider weisse and tagged Alcohol by volume, craft beer, schneider weisse, Schneider Weisse Original (TAP7).